Thanks for welcoming me to your home today Piet! 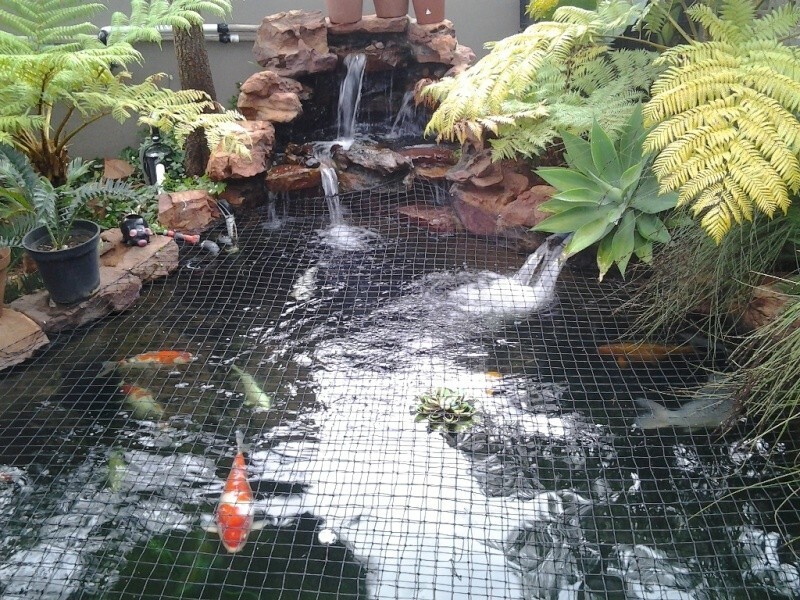 What an unbelievable collection of Fish, cycad's and Chihuahua's (lol) that you have! 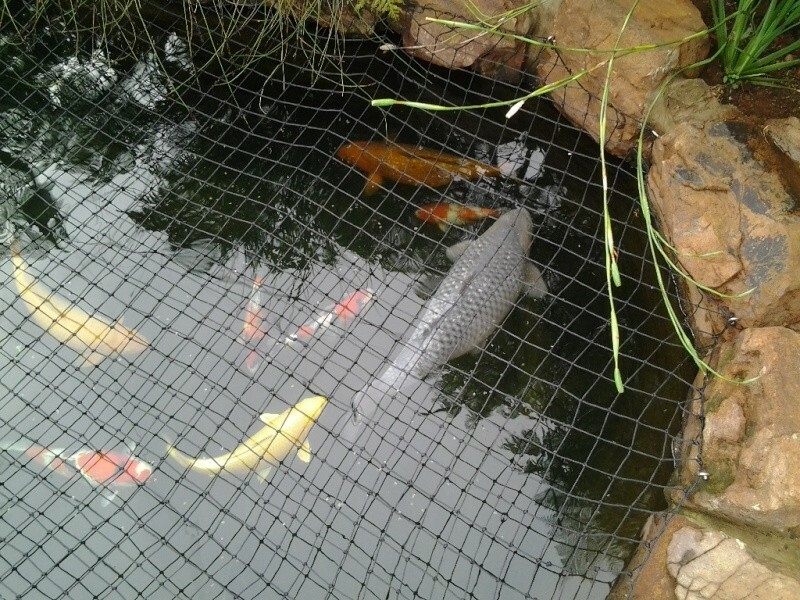 Too those who say it's not possible to grow a fish to good size in a concrete pond, well this man has the best soragoi I have seen, it's got unbelievable gin rin as well as is a blue\grey that you wont believe. He bought this fish when it was 20-25cm, and has had it for just under 4 years in a 30kl pond, max depth 1.7m in the deep end and it's an impressive 82cm and it's an absolute tank! The gin rin showa's you got from Costa are also out fo this worl and that ki utsuri is also very special! All in all a very enriching day, I enjoyed our conversations............always nice to sit and chat with someone who thinks along the same lines that I do, that always makes for good conversation and it was enjoyable! Yes what a nice surprize to get a call from u, and then u and the boys where at the gate..........My pond is very basic and work for me, and for kids they are very happy in there. Allways nice to have a good chat about the hobby. And the collection took a lang time the get there to what I want it to be with all te Gin Rin s.
Ek hou baie van jou koi dam en jou kois . 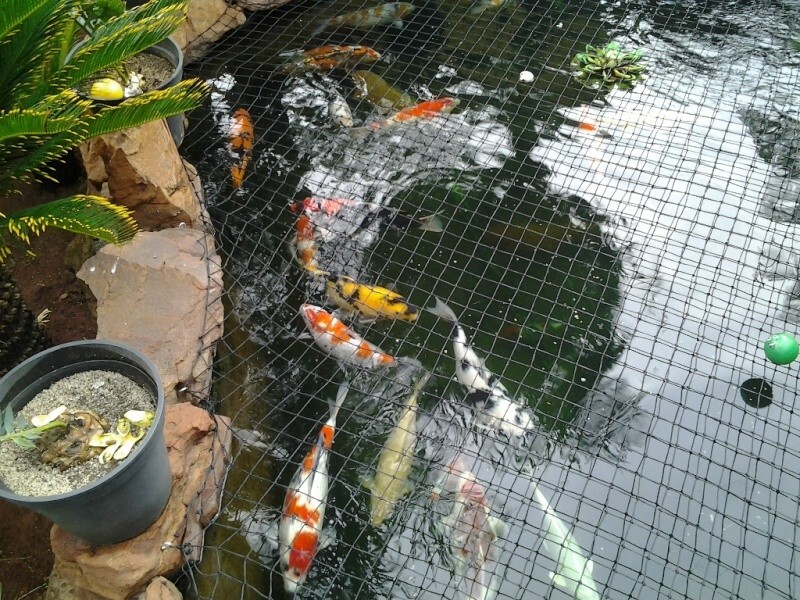 Pond and fish looking great Piet. Well done. I agree! Wish I was there! Awesome pond and collection you have there, especially the Ki Utsuri. Great job you did with your fish and pond, well done. Glad you had a great time with Piet. Thank you for the photos, your becoming South Africa's Pond Hunter/ Mark Gardner. Lol........I am actually in Bloem this week, wonder if I should see who I can hook up with out there?!?!?!? !